Mud season is upon us around Denver and Boulder, which means that most ski lifts have screeched to a halt, harkening the deepening spring, yet alpine trails are covered in snow or thawing into muddy wet messes. Meanwhile, on the Front Range, eager blooms are pushing up through the soil, and sunny days lure us outside, making Denver and Boulder locals itch for summer. Now is the time to take a deep breath and wait patiently for the mountains to melt. But there’s no need to despair, as the cure for spring fever is right in our backyard: low-elevation state parks that dry out in no time and are ripe for adventure long before summer hits. Here, five excellent state parks near Denver that are sure to put some, well, spring in your step. 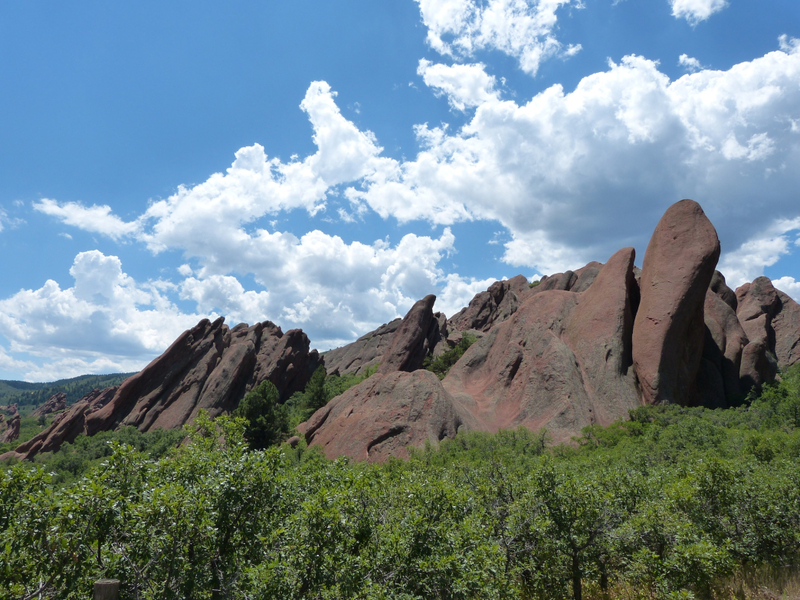 The stunning landscape at Roxborough State Park conjures up images of someone hucking sandstone wedges down from the heavens, trying to embed them in the earth. 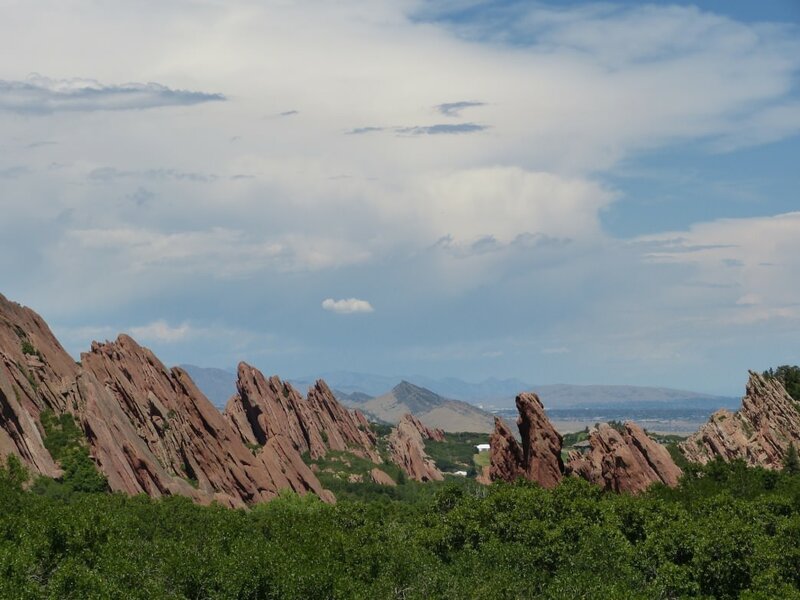 Startling rock formations jut up toward the sky throughout this 4,000-acre park, creating a stunning landscape that helped it earn the titles of Colorado Natural Area and National Natural Landmark. If you’ve never witnessed this natural wonder, you simply must go. To protect the park’s fragile landscape, pets and horses are prohibited, and bikes are allowed only on main roads. Leave your pooch at home and explore the park on foot. Choose from miles of trails, including a 2.3-mile loop around the park and a 6.5-mile round-trip trek to the top of 7,160-foot Carpenter Peak. The Roxborough entrance fee is $7. 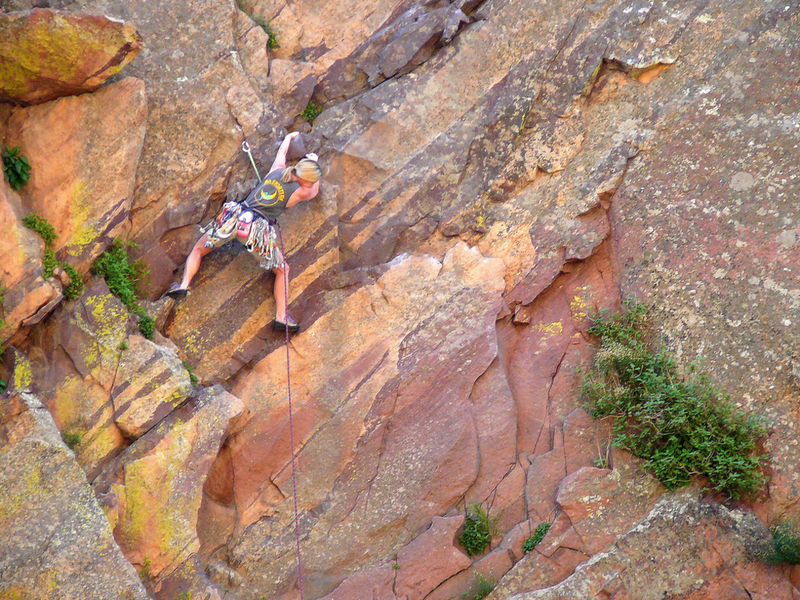 Spring is awesome for climbing in Eldorado Canyon State Park —not too hot and not too cold, making it a great time to tackle the park’s towering red and golden sandstone walls. The staggering number of routes in this gem just south of Boulder could keep a climber busy for years. Choose from more than 500 trad, sport, and top rope routes tucked into the compact canyon. If rocks and ropes aren’t your thing, no worries—hike up the 3.5-mile Eldorado Canyon Trail instead. Barring late snow, it’s usually pretty clear this time of year. Be aware that this is a popular park, particularly with climbers and hikers in the spring. It sometimes fills to capacity on weekends. To make sure you can get in, plan on arriving before noon on Saturdays and 11:00 a.m. on Sundays. The park charges an $8 entrance fee. With ample water, trails, and bike paths, Cherry Creek State Park (park entry $9) is the perfect place to train for a triathlon. This 4,200-acre oasis of nature right in Denver has 35 miles of multi-use trails and an 850-acre reservoir. Spring sun bakes the park, melting snow quickly so you can hit the ground running (or walking or biking). Swimmers have to wait until Memorial Day to dive in, but boaters, water skiers, and paddleboarders can get out on the water now—just wear a wetsuit. Spring offers the added bonus of making wildlife easier to spot, before summer crowds send critters into hiding and leafed-out trees make animals harder to see. Look for the many resident deer, or use a keen eye to try and spot a fox or coyote rambling through the grass. Woodlands and wetlands are lively with the chatter of birds. While you’re at it, why not spend the night? Cherry Creek’s 133-site campground is convenient for a quick overnight escape, introducing your kids to camping, or taking your new camper for a test run before a summer road trip. 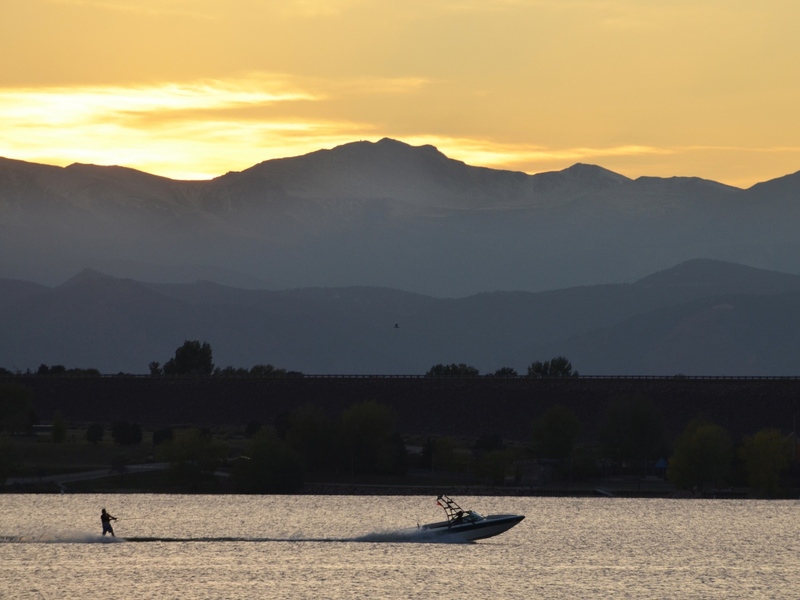 At the southwestern edge of Denver, Chatfield State Park sits on 3,895 acres where the plains meet the foothills. 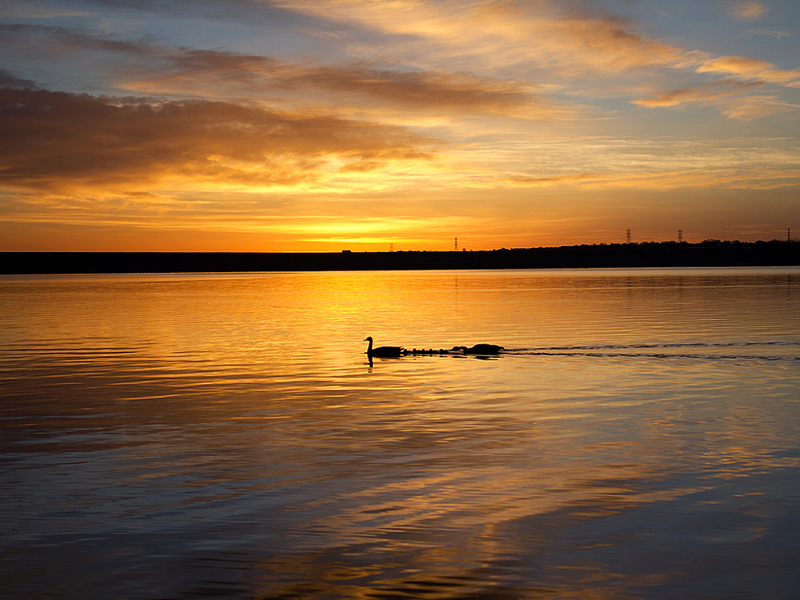 The Chatfield Dam, built for flood control, captures a 1,400-acre reservoir at the confluence of Plum Creek and the South Platte River, creating a meeting of grassland, foothills, and wetland habitat that attracts a rich mix of wildlife. If you’re into birding, bust out the binoculars, since 345 bird species have been spotted in the park. The Denver Audubon Society even has an office on site. For extra credit, ride the Highline Canal Trail to Chatfield from Cherry Creek in Denver. Perched in the hills 16 miles northwest of Golden, Golden Gate Canyon State Park ’s 12,000 acres of craggy peaks and ridges, evergreen forests, alpine meadows, peaceful ponds, and shimmering aspen groves can satisfy a hankering for mountain adventures before higher spots are snow-free. Most trails at the park are at 8,000-9,000 feet, so they melt out earlier than places like Rocky Mountain National Park and Indian Peaks Wilderness . You can spend the day at Golden Gate Canyon, or bunk down for the night in a cabin, yurt, or tent. Be aware that part of the campground is closed in early season (park entry is $7).